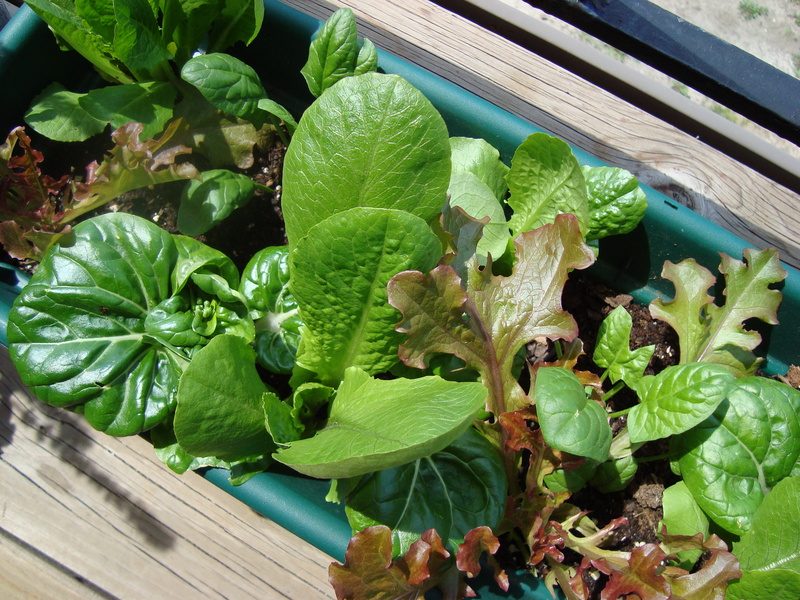 My salad garden on the balcony is coming along nicely. I’ve had two more decent sized salads and today managed salad for two! The baby romaine, spinach, pak choy and red leaf lettuce plants came from the west HyVee here in town. It’s been a little tricky to keep them adequately watered as my balcony gets a lot of late day sun with it’s south westerly exposure, but I think I’m getting the hang of it. One nice thing about the plants being in a planter is that if it gets very hot and windy, I can just pull the box inside into the air conditioning for a while! 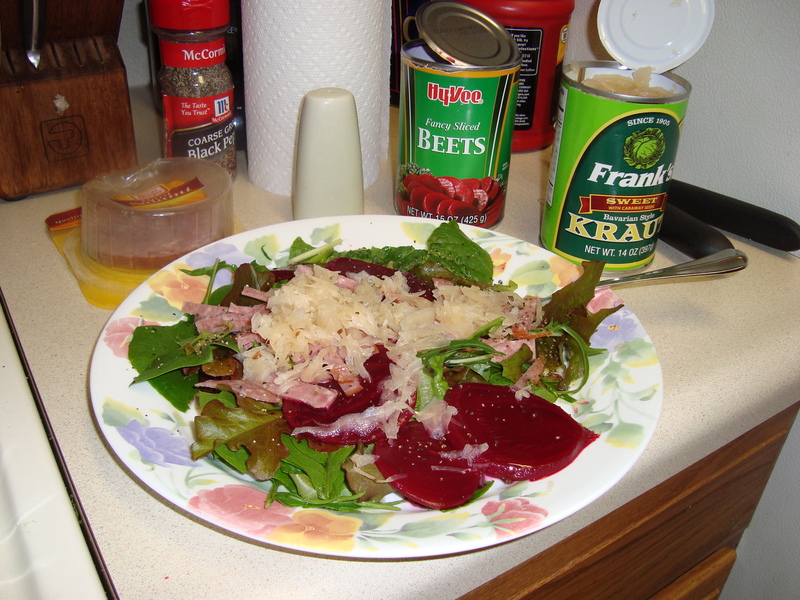 Here is a Polish inspired salad I made with beets, sauerkraut, salami and my lettuce. 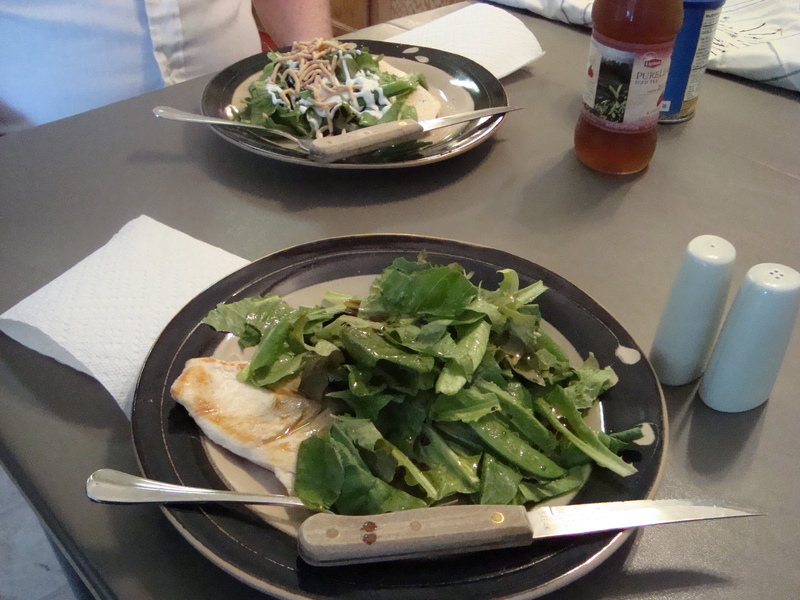 For today’s lunch, I sauteed some sugar snap peas ( I wonder if I could grow them on the balcony??) and added them to the greens which made for a slightly warm salad….dressed it with olive oil and a splash of soy sauce, sprinkled with toasted Chinese noodles and served with chicken breast. Not bad!